In a world overpopulated by signs, products, images and experiences can a threshold of the invisible still exist? And above all, what happens when design faces the imperceptible, the complex, the infinitely large/small, the counter-intuitive? 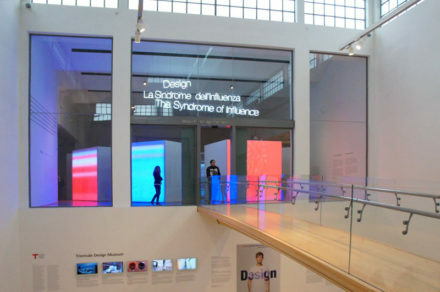 The core of the exhibition – a collection of projects, prototypes, installations and videos – is integrated by a research on “stories”: a vast documentation of hybrid case histories on science, technology, art, literature, cinema and graphics, that shape an extensive and transversal story telling. In the same way, the projects in exhibition open new questions regarding process’ practices. Along with the rediscovery of “making” itself, there are new capabilities that produce cognitive transformations, projected beyond comprehension and fore-sight. The final output aims to be the reading and the interpretation of design as a tool to imagine, experience and discuss, an integration of one’s and network creativity, research, process and vision. From tracing the winds (Fernanda Bertini Viegas + Martin Wattenberg) to stimulating taste (Marc Bretillot & David Edwards), from the potential of sound (Pieter Jan Pieters) to narrative new practices (Matt Richardson), from the traceability of gestures (Nicolas Nova) to the inception of synthetic biology (Superflux). In one word: the future. “Following last year’s theme of collaboration in our ‘Making Together’ exhibition” explained Cristina Favini, Logotel intiative Project Manager .. “we are now focusing on how today, and more often in the future, change occurs through subtle, imperceptible, invisible transformations. This happens in our daily life, both private and professional, and in large-scale in the increasingly complex socioeconomic context. And design, especially in the intangible dimension of service, acts as a tool for bringing into existence what does not yet exist, and for shaping what is still shapeless”. 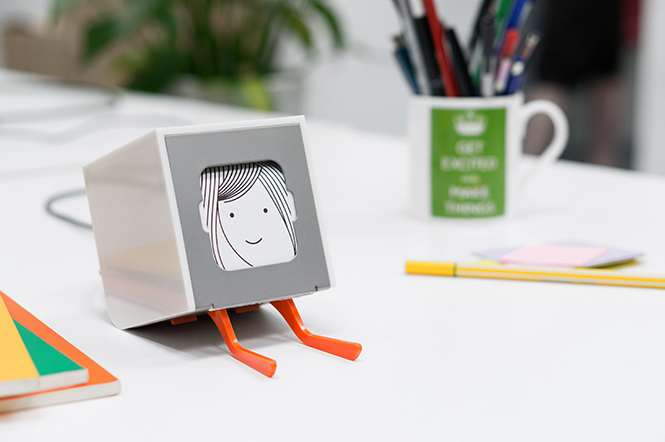 Little Printer is a small, friendly wireless printer. It’s like having your own printing press, newspaper and a dog to fetch it for you, all in your front room. It scours the Web on the owner’s behalf, assembling their interests into delightful, personalised miniature newspapers, printed only two inches across. If you’re a publisher, developer or website owner, the Little Printer publishing platform enables you to easily reach Little Printer owners in a direct, engaging way. Oscar Diaz + Yuri Suzuki, Rec & Play . Rec & Play consists of two pens, one that allows recording sound on a line and the other playing it back. The REC pen, draws and record sound on a line at the same time. 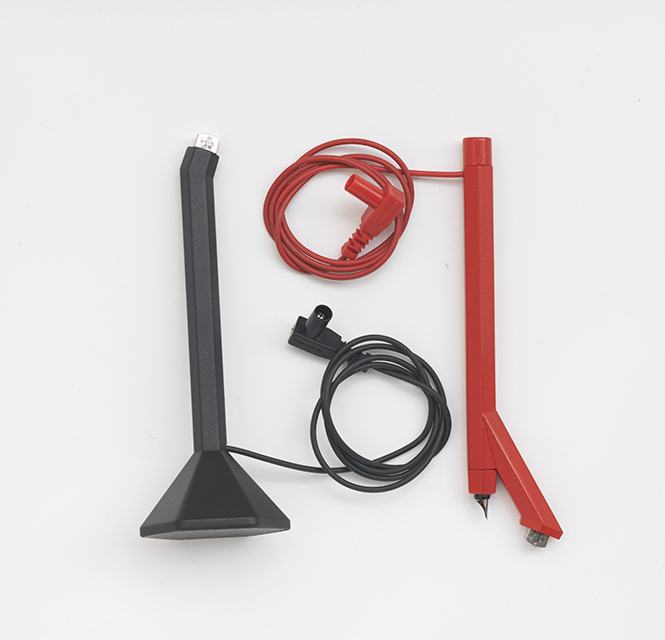 It contains special ferromagnetic ink, made with the same component used for old cassette tapes, a recording head and a microphone. The PLAY pen allows retrieving the sound and playing it back. It contains a reading head and a speaker. When the tape reading head is moved along the line the previously recoded sound can be heard. Imme Van Der Haak, Beyond the Body. 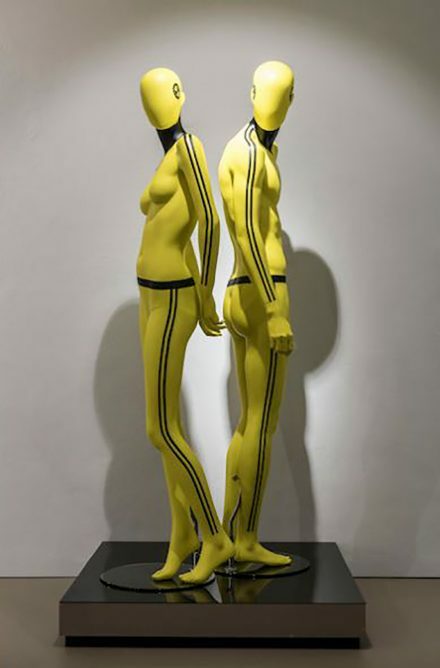 Imme’s work focuses on altering the human form by affecting its figure with just one simple intervention. Photos of the human body are printed onto translucent silk which will create the possibility of physically layering different body’s ages, generations and identities. In a dance performance, the moving body manipulates the fabric so the body and the silk become one, distorting our perception or revealing a completely new physical form. The movement then brings this to life. Beyond the body brings into being an ambiguous image that intrigues, astonishes or sometimes even disturbs. Alicia Framis, Where did the future go? For this video Framis travelled to the Mars Desert Research Station in Utah, USA. The station is located in the middle of the desert and concentrates mostly on preparing astronauts for their exploration of space. In addition to this, it also tests habitat design features and related tools. Alicia spent her time living with five astronauts under stimulated conditions of space travel and living. The film is a collection of moments during these days, recorded either at sunrise or sunset. It consists of a sequence of moments of the astronauts at work (training, walking, testing) as well as of a woman walking with a white billboard that says “Where did the future go?”. At the same time, a lost astronaut dressed in a Russian space suit is walking with the same sentence at the exact same surroundings. The film points out the importance of the moment we are living in but also firmly highlights the uncertainty of the future. 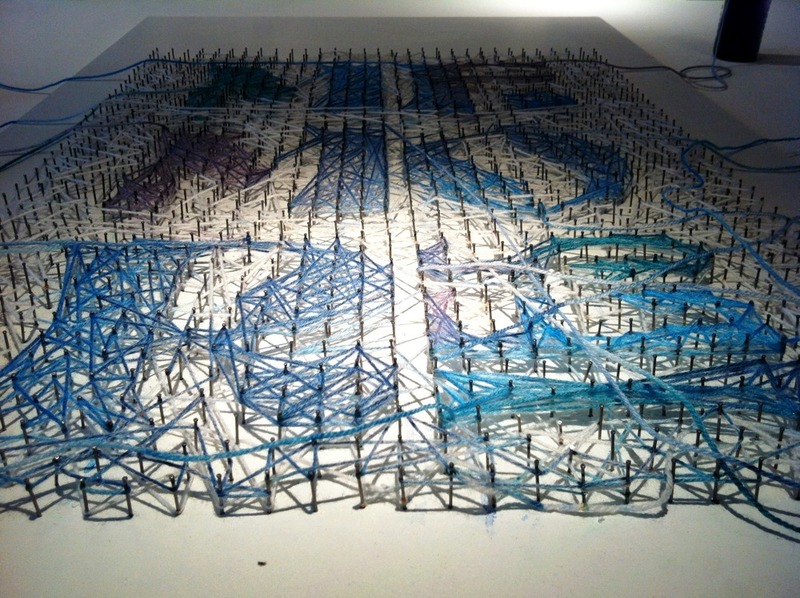 With this work Alicia indicates the importance of innovation, creation, failure and success. As the lost characters keep walking and walking, we also have to remind ourselves whether if we have found our future yet and what that might look like. Windmills and solar panels produce clean energy. But we can not yet store it in a clean way. The project Hyné is a real answer to this missing link, capturing green energy from outside and storing it as hydrogen directly into the house. 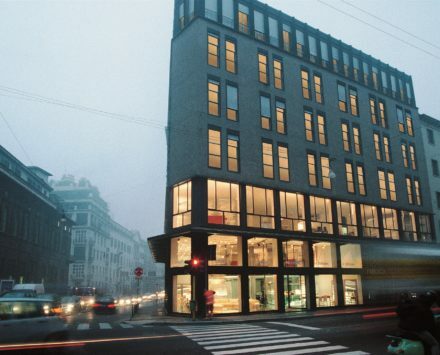 Designed for domestic use, Hyné is capable of providing electricity enough for four people living in a space of 100m2; at the same time, it is also capable of supplying domestic hot water through a second circuit. It allows 24 hours of continuous use, followed by 6 hours of recharging of its 30 m2 solar panels, or equivalent energy source. By connecting the device to a source of water, an electrolytic process creates a molecular division (hydrogen / oxygen), enabling the storing of electrical energy. Hyné is designed with transparency that allows not only to follow this innovative process, but also to make the user a key player in its own production and energy management. Hyné, an amazing object that gently recalls an industrial landscape, opens the doors to the use of green energy in everyday life with ease, integrating both functionality and aesthetic into our lives, and combining science and design for a better future: innovative, clean, responsible and sustainable. Matt Richardson, The Descriptive Camera. The Descriptive Camera works a lot like a regular camera: point it at subject and press the shutter button to capture the scene. 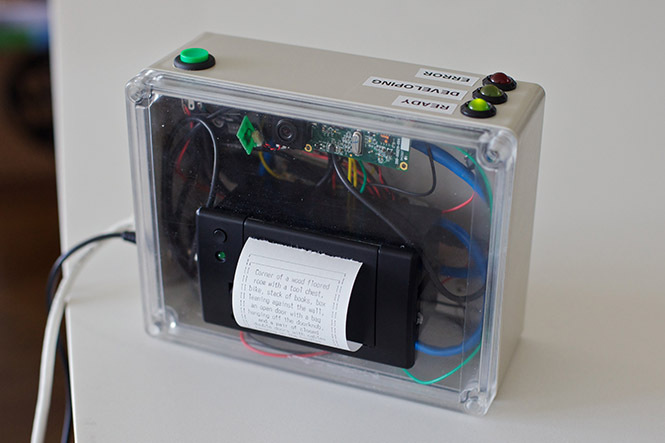 However, instead of producing an image, this prototype uses crowd sourcing to output a text description of the scene. Jinhyun Jeon, Tableware as Sensorial Stimuli. An everyday event, “taste” is created as a combination of more than five senses. Tasty formulas with the 5 elements – temperature, color, texture, volume/weight, and form – are applied to design proposal. If we can stretch the borders of what tableware can do via exploring “synesthesia”, the eating experience can be enriched in multi-cross-wiring ways. 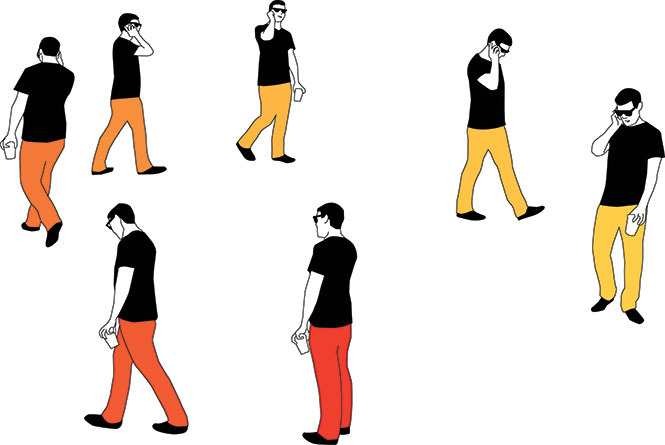 Eye Candy is a project inspired by a BBC segment on how blind people can see with the help of their tongue. Beta Tank took an interest in how this could also affect the lives of sighted people. 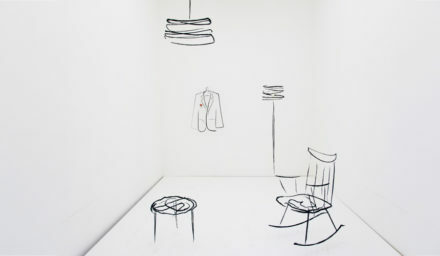 The use of physical sketches has since left a trail of engaging prototypes (Eye Candy, Mind Chair Polyprop, the working Mind Chair). 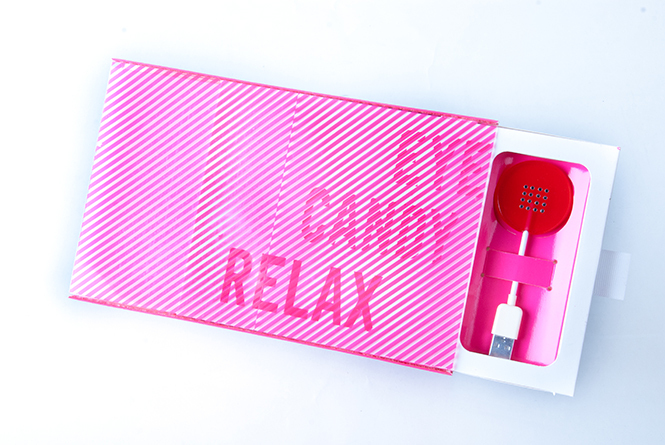 Currently in the MoMA’s permanent collection, Eye Candy Can Ltd. is a spoof company set up to offer the different flavoured Eye Candies available to order. 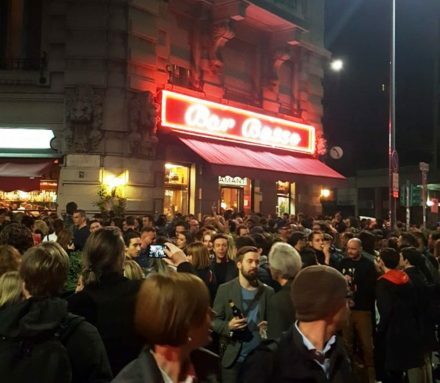 As part of the campaign, blogs and magazines were involved in order to spread the word. 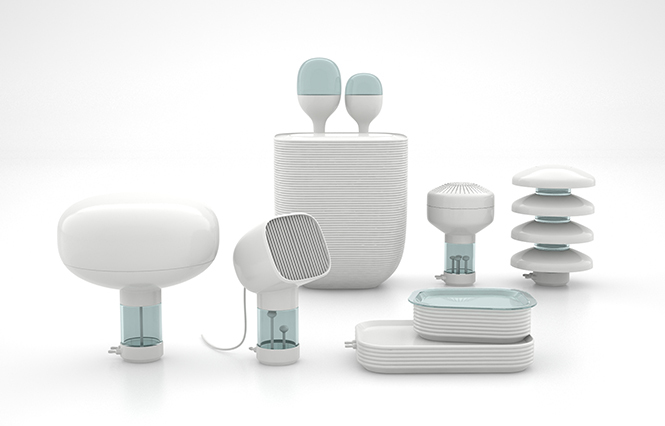 Although it was not apparent from the start, slowly the question of innovation in consumer products came up: as orders came in through the website, Beta Tank approached the maker of the technology and while it is unclear whether the product will be made, this has proved that a bottom-up approach in product design and manufacturing is a possibility. Between August 2008 and April 2009, 68,000 unique visitors from 15 different countries visited Eye Candy Can Ltd. with orders reaching 100,000 lollipops. Eye Candy is based on available technology which makes the production of it an entirely realistic option. We are increasingly listening to computerized sounds. 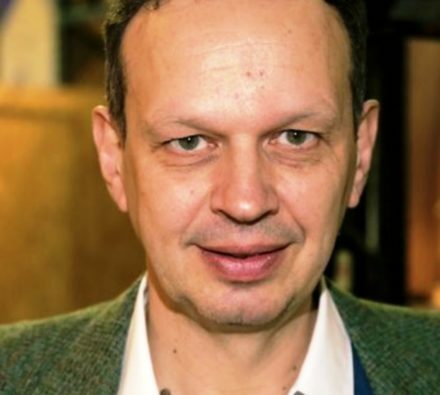 The digital standard ignores the unique nature of a person creating and influencing acoustic sounds himself, Pieter-Jan Pieters says. With Soundscape he intends to make us rediscover how we can play with sounds. “Sound is influenced by material, space, or pressure. This glass cocoon, with two corks acting as a microphone and speaker, allows us to hear how this works. When it is empty, the effect is of a ringing tone; when it is filled with feathers, the sound is dampened, and water gives yet another experience. 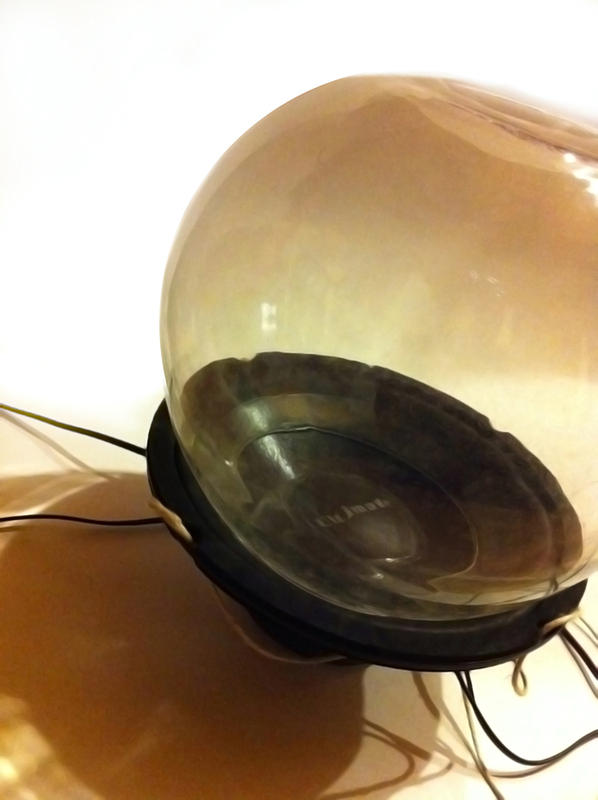 The cocoon thus produces a series of unique sounds that are a far cry from the prefabricated sounds from a computer. Anna Haupt + Terese Alstin, Invisible Bicycle Helmet. Hövding is an invisible bicycle helmet, designed as a stylish collar worn around the neck while cycling. The collar contains an airbag that is visible only if an accident occurs. The airbag is shaped like a hood, surrounding and protecting the cyclist’s head. 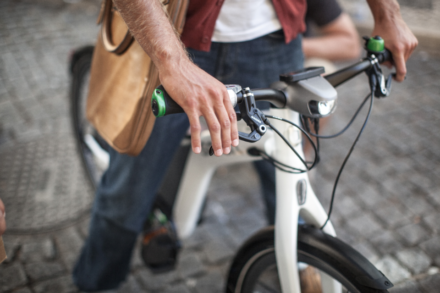 The inflation is triggered by sensors that register the abnormal movements of the cyclist in an accident. 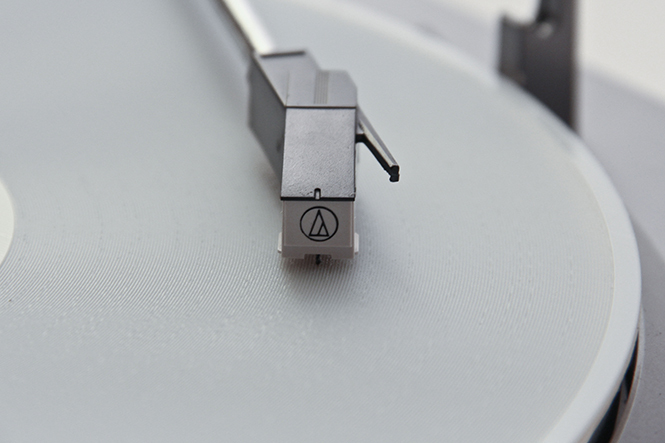 Amanda Ghassaei, 3D printed record. In order to explore the current limits of 3D printing technology, Amanda has created a technique for converting digital audio files into 3D-printable, 33rpm records and printed a few prototypes that play on ordinary turntables. Though the audio quality is low – the records have a sampling rate of 11kHz (a quarter of typical mp3 audio) and 5-6 bit resolution (less than one thousandth of typical 16 bit resolution) – the audio output is still easily recognizable. These records were printed on an Objet Connex500 resin printer to a precision of 600dpi with 16 micron z-axis resolution. The 3D modeling in this project was far too complex for traditional drafting-style CAD techniques, so Amanda wrote a program to do this conversion automatically. It works by importing raw audio data, performing some calculations to generate the geometry of a 12” record, and eventually exporting this geometry straight to a 3D printable file format. 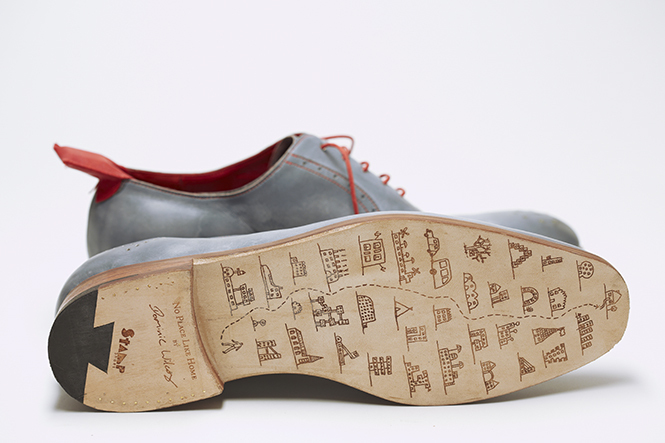 Dominic Wilcox, No place like home. No Place Like Home shoes guide the wearer to whatever destination in the world they wish. Firstly, the required destination is plotted onto an on-screen map and uploaded to the shoes via a USB cable. Then the wearer unplugs the USB cable and puts on the shoes. The heels are clicked together three times to start up the GPS module that is embedded in the left shoe. The circle of LED lights on the left shoe point in the direction of the destination and the row of LED lights on the right shoe give a progress bar of distance traveled. Nicolas Nova + Katie Miyake, Nancy Kwon, Walton Chiu, Curious rituals. “Curious Rituals: Gestural Interaction in the Digital Everyday is a design research project conducted during a summer residency in the Media Design Practices studio at Art Center College of Design (Pasadena) in July-August 2012. 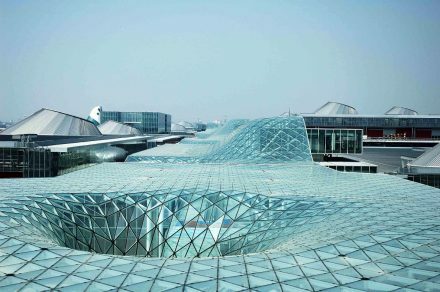 These practices can be seen as the results of a co-construction between technical/physical constraints, contextual variables, designers intents and people’s understanding. 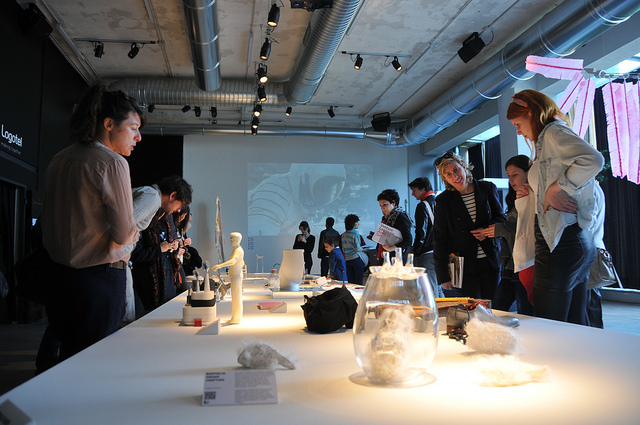 We can see them as an intriguing focus of interest to envision the future of material culture. “Curious Rituals” consists in a documentation of existing gestures and a design fiction movie that speculates about their evolution. 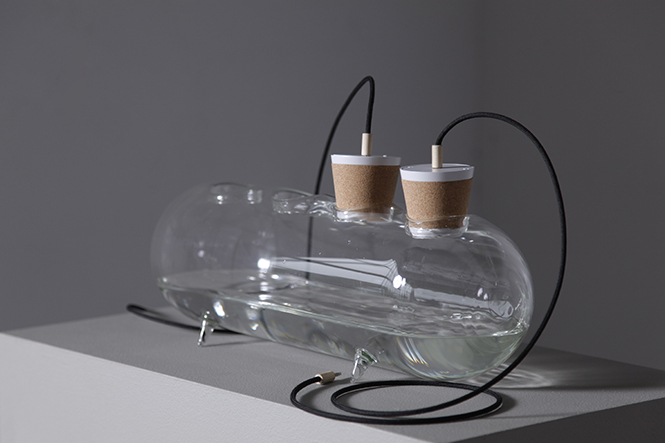 Jannis Huelsen, Xylinum “Manufactured by Microorganism”. Xylinum is a research project that poses the question: what could future materials and production processes be like? The title Xylinum is the name of a bacterium which produces an artificial cellulose material. This bacterium consummess sugar and builds a cellulose fibre structure around any given form. Since the process takes place in a nutrition liquid, the wet material can be dryed later on, resulting in a durable and 100 % biodegradable material. The properties of this material can be adjusted by changing the genetic code of the organisms. 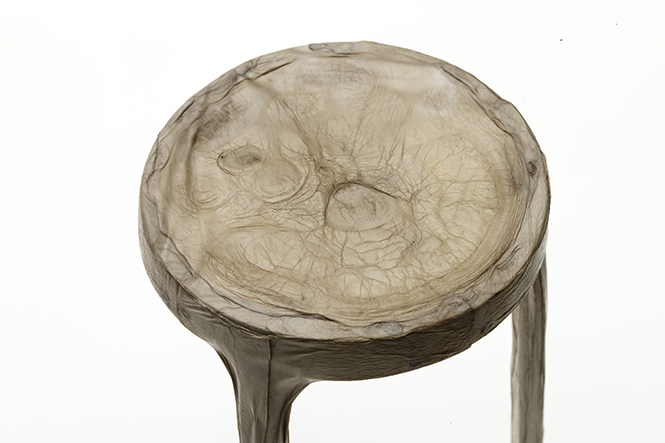 In collaboration with the company Jenpolymers, a technique was developed to create a “skin” around a wooden stool frame, forming the coating and seating surface. Superflux, The Synbio Tarot Reading. 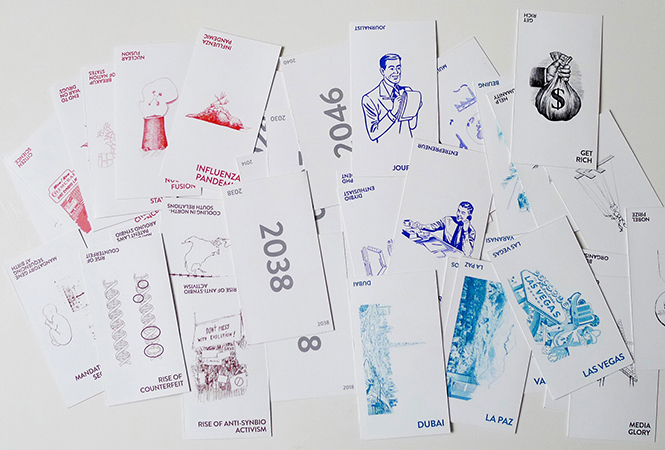 The Synbio Tarot Reading is a project by Superflux, originally created for a workshop on “Mutations in Synthetic Biology” held at the Science Gallery in Dublin, as part of the EU funded StudioLab project, in 2012. 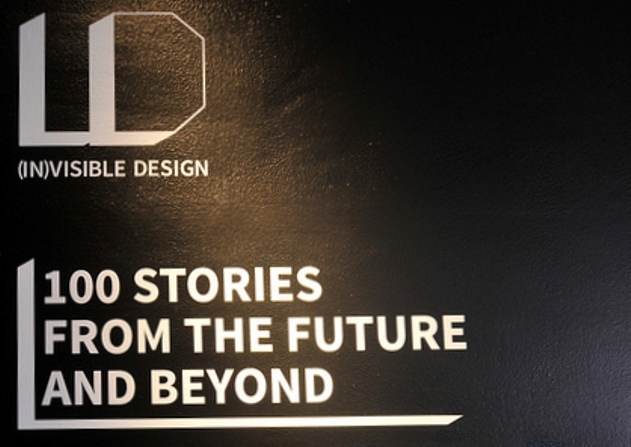 The tarot card reading helped designers and scientists work together to create scenarios that explored the social, economic and political implications of synthetic biology. By substituting synthetic biology for any other emerging technology, Superflux hopes that the cards will have a broader use for anyone interested in imaginative and engaging workshop materials. Ai Hasegawa, I wanna deliver a Shark. 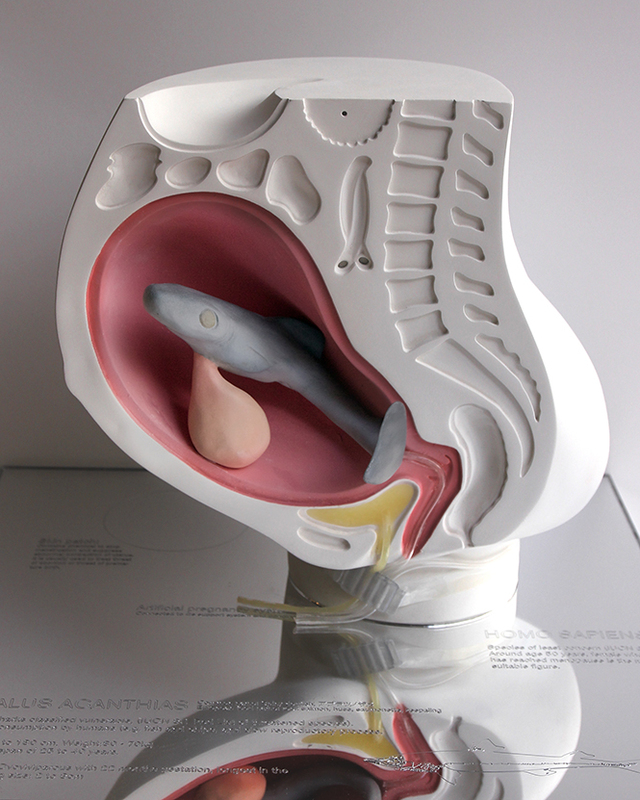 This project approaches the problem of human reproduction in an age of over-population and environmental crisis. With potential food shortages and a population of nearly nine billion people, would a new mother consider incubating and giving birth to an endangered species such as a shark, tuna or dolphin? This project introduces a new argument for giving birth to our food to satisfy our demands for nutrition and childbirth and discusses some of the technical details of how that might be possible. But how dependant is scientific knowledge on historical accident and chance? Could we have a different, and not necessarily less valid, version of scientific truth if history had played out slightly differently – if certain observations had been made or missed, if individual scientists had been more or less successful, if different accidents had occurred? Or, does the scientific method act to eliminate the effects of historical chance, and our present state of knowledge is somehow necessarily true? 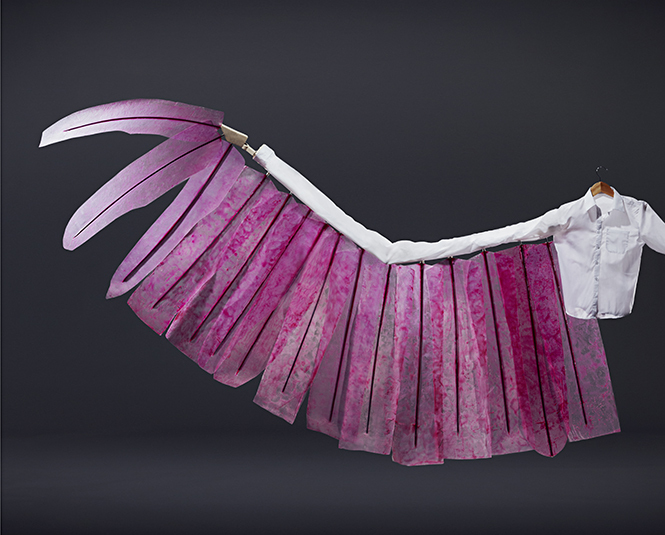 Unlikely Objects explores these questions through a “Choose Your Own” history of genetics, and the presentation of some more, or less, likely objects from imagined alternative histories of genetics. Scripta volant. A writing surface, a place usually associated with permanence, it is made sensitive thanks to a touch-triggered microphone. In this way, the variable pressure exerted by the user while writing generates an audio signal that, once properly amplified through a speaker, reveals its mechanic nature by stirring up a medium that is volatile by definition: feathers. The weight of writing thus changes: what matters now is no longer the result, the act of preserving words potentially forever, but the act itself, that is writing and transforming time through movements. Marc Bretillot + David Edwards, Le Whaf. 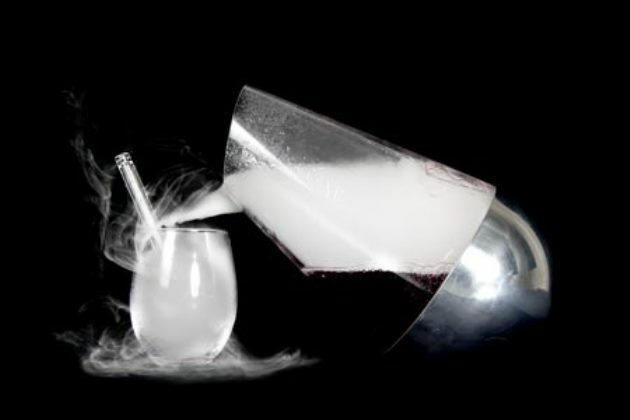 Le Whaf gives you a poetic, delicious and low-calorie way to enjoy your favorite liquid recipe or drink (such as cocktails, fruit juices, liquors…) by sipping it as a cloud of flavors. Through this exclusive tasting experience, Le Whaf offers you the possibility to once again discover every single flavor of a cocktail. 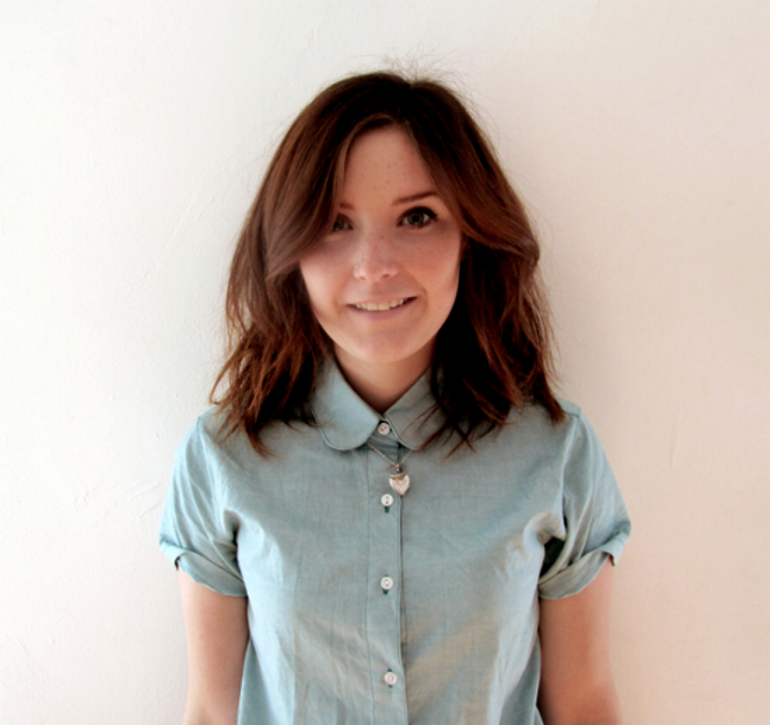 Susanna is curator of design exhibitions and online and offline communication projects. Former art and design managing editor of Io donna/Corriere della Sera, she writes for Io donna, Vogue Italia, Klat magazine, Ad Italia, Form, Urban Magazine, Nòva/Il Sole 24 ore and Il Giornale dell’architettura. 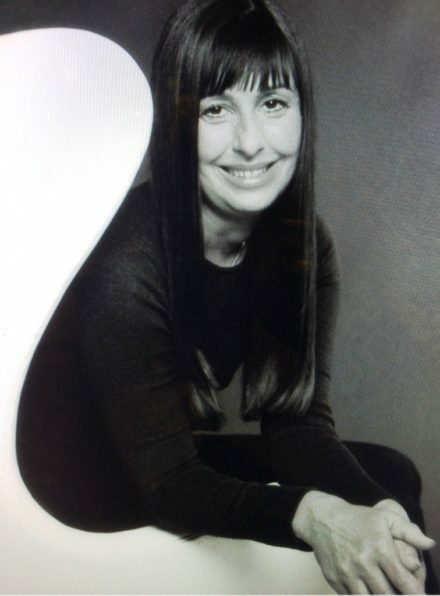 She also teaches Design Communication at the Naba Academy, Milan, and Fashion Communication at Politecnico di Milano. Her recent assignments include the editorial project for the new website of the Mart Museum of Trento and Rovereto. 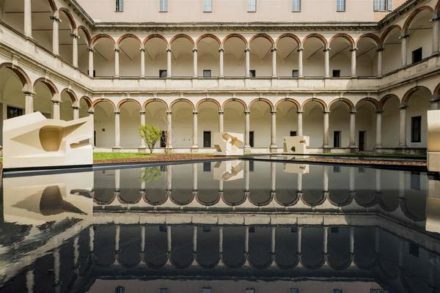 Associate Professor, teaches Service Design and Phenomenology of Design at the School of Design of Politecnico di Milano. As a design curator he coordinates the exhibition activity of Subalterno1, a design gallery specialised in self-production. 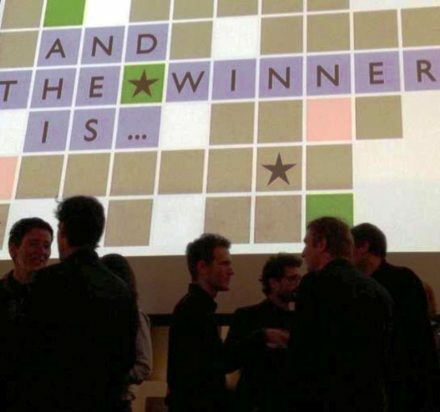 For his national Design Research Maps he was awarded the 22nd Compasso D’Oro prize for Design Research. 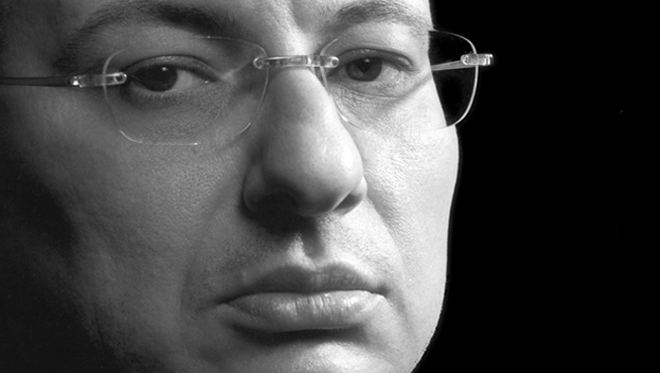 He writes for the magazines INTERNI, Ottagono and Il Giornale dell’Architettura.